Are you a lender or title company in need of an experienced signing agent to conduct a closing? Maybe you're an attorney needing a reliable process server to deliver court papers? Or an employer with new hires needing to get I-9 Employment Eligibility Verification forms completed. 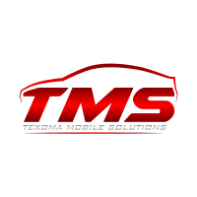 Texoma Mobile Solutions is ready to help you get things done. Ready to tie the knot and say "I do" to the love of your life? Yes, we can help with that too! Hello and thank you for visiting my website! As you can see, there's a lot going on here. I am a fully bonded and insured mobile notary and signing agent, as well as a process server certified by the Texas Judicial Branch Certification Commission. As an ordained minister of the Christian National Church, I am able to officiate wedding ceremonies. Please see the SERVICES page for a more complete directory of services available. I specialize in mobile services - all services are provided at a time and place that is convenient for you. Service pricing is included on the page for each specific service. The COVERAGE AREA page will show you the areas I provide services to. Please contact me if you have any questions! Experienced, professional, courteous notary services wherever you need them. Power of Attorney? Home refinance? Auto loan? Call me! Prompt, proper delivery of your citation, subpoena, protective order, or other court papers to areas of North Texas. Ordained by the Christian National Church and available to solemnize marriage ceremonies in accordance with Christian teachings and traditions.